How Do I Create a .CSV (Comma-Separated Values) File? 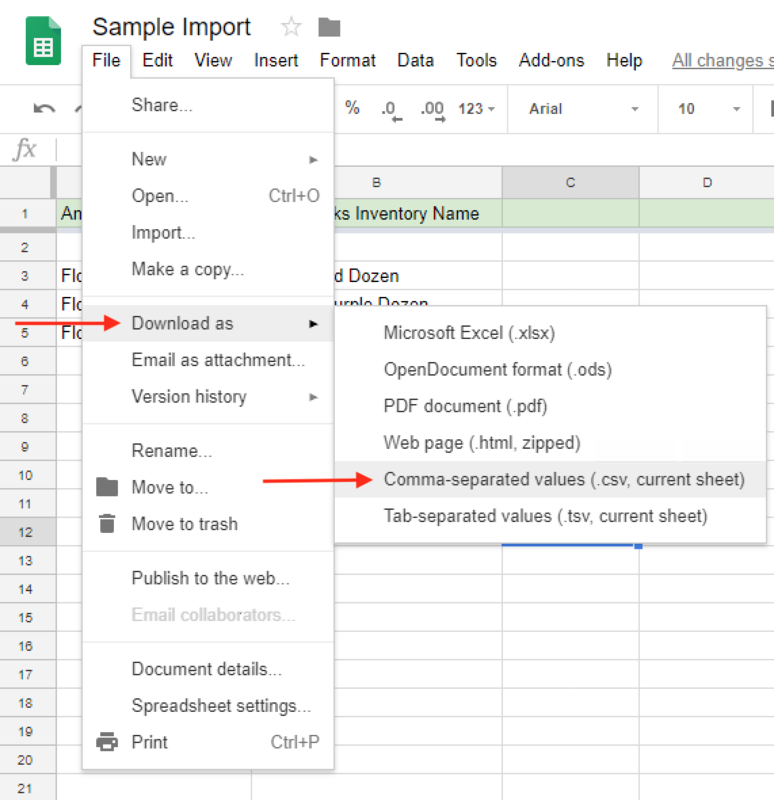 Most spreadsheets will allow you to download or save your spreadsheet as a CSV file. Our example here uses Google Sheets, but most office productivity applications will be similar. Microsoft Word, Open Office, and Libre Office all have a similar user interface. 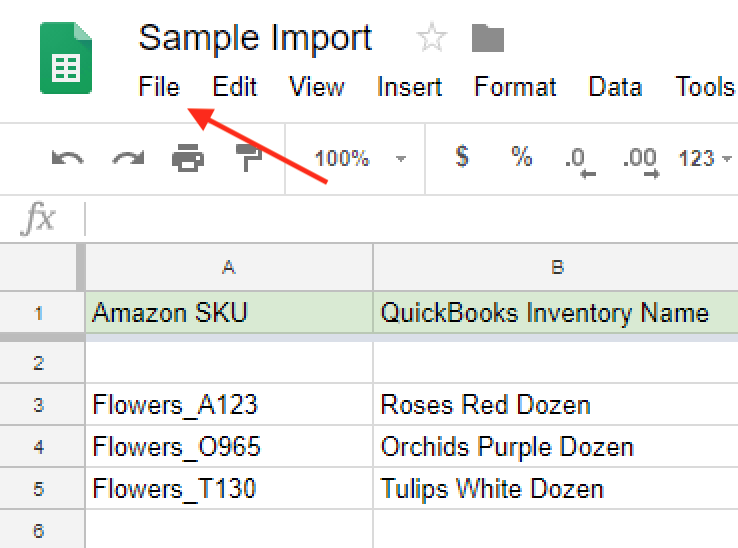 You may have to export, save as, or download as a CSV file. Contact us at info@sellerzen.com or through chat if you have any questions. Once you have the items you want mapped complete, then click on File > Download as > Comma-separated values. Go to the Integration settings > Item Aliases, and then select the file for us to process. When we're done processing the file, you'll receive an email. You'll be notified of any errors in the file, and you can review the item mappings before you sync.